With only a few days until Christmas, many of us are pressed for time between baking holiday goodies, shopping for loved ones and wrapping gifts. 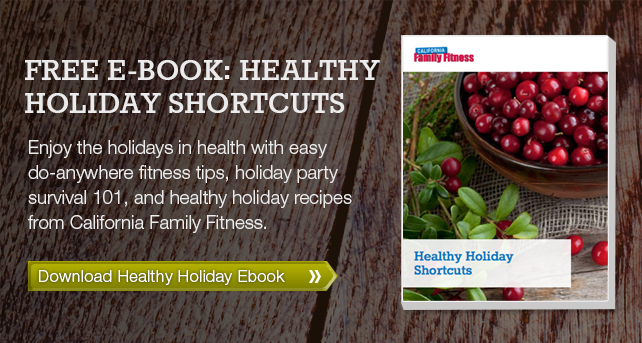 Since the holiday season can be so hectic, many people will choose to forgo a workout. Instead of skipping it altogether, you can find time to get in mini workouts at home. Today, CFF will show you five tricks for easy at-home workouts you can do while in the kitchen baking or in the living room wrapping gifts! These exercises target large muscles groups and will get your heart rate up to help burn more calories in less time. So whether you’re trying to burn extra calories to enjoy all those holiday goodies or just trying to maintain your current fitness goals this is the workout regimen for you!